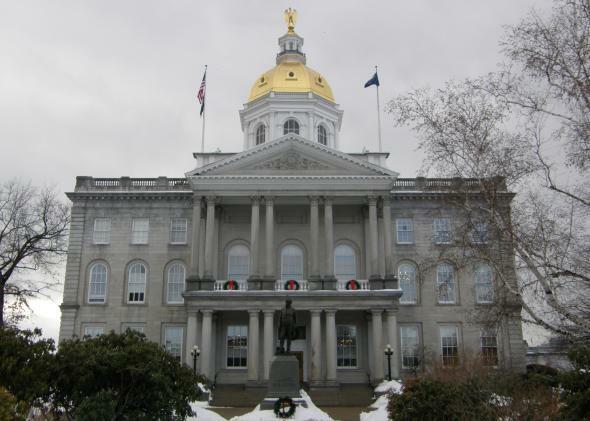 New Hampshire legislatures kill fourth graders' bill and dreams. Last Thursday, fourth graders from Hampton Falls, New Hampshire visited their state legislature to observe a bit of democracy in action. The children had previously proposed House Bill 373, establishing the Red Tail Hawk as the New Hampshire State Raptor, as part of a civics lesson in how bills become laws. Their measure had already sailed out of the Environmental and Agriculture Committee. Now the young students gathered in the House galley to watch their bill pass its next hurdle. A number of other legislators, it seems, shared Burt’s and Groen’s concerns: Ultimately, the House killed the bill by a 133-160 vote. In the end, New Hampshire’s lawmakers may have crushed the dreams of several fourth graders. But in fairness, the legislators probably gave the students a better lesson in the realities of American democracy than their teacher ever could have hoped.